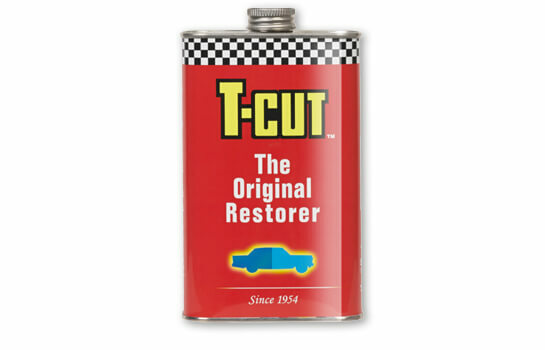 T-Cut has been used for cleaning and restoring the original colour back to cars since 1954. 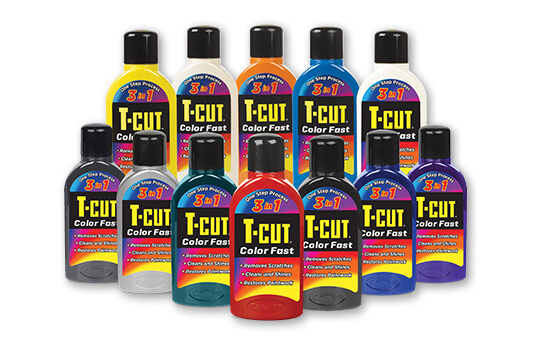 T-Cut has been passed down through generations of families to keep their car paintwork in perfect condition. But did you know that T-Cut is not just used to remove scratches and restore faded paintwork on cars, it can also be used around the home on painted kitchen appliances, plastic and ceramic baths, uPVC windows and doors, plastic garden furniture, caravans, boats and much much more! 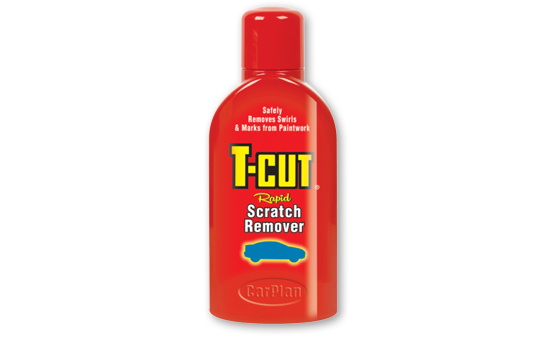 T-Cut Rapid Scratch Remover is the ultimate trouble shooter specially formulated to remove surface scratches, swirl marks and blemishes. Use T-Cut Rapid Scratch Remover on car paintwork, enamels, gloss painted surfaces, gel coats, ceramics and painted household appliances. T-Cut Color Fast is a revolutionary coloured paintwork renovator that removes light scratches, oxidation, ingrained dirt, bugs and surface imperfections. The coloured pigments and advanced waxed technology enriches colour, cleans, restores and polishes in one easy application, leaving a protective shine that lasts and lasts. Have you ever run your hand across the surface of your vehicle and it felt like sandpaper? 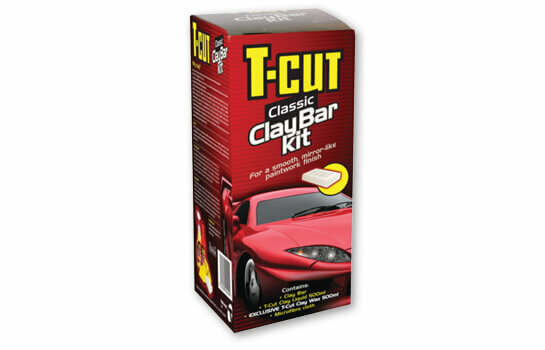 Then the T-Cut Clay Bar Kit is for you. It creates a smooth as glass, mirror like finish on all paintwork, fibreglass and metal surfaces, increasing the depth of shine when waxing or polishing. 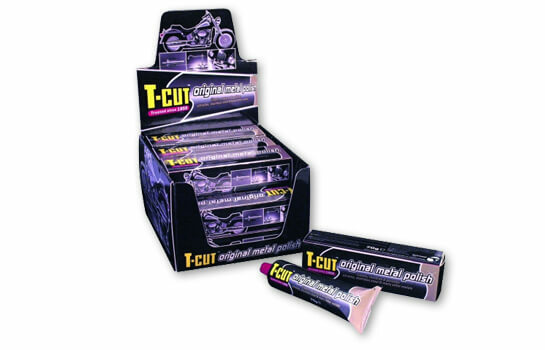 T-Cut Original Metal Polish will restore a brilliant shine and lustre to most metals including chrome, brass, stainless steel, nickel, copper, aluminium and alloy. It will cut through surface corrosion and oxidation, even if the metal hasn’t been cleaned for years! Suitable for automotive, motorcycles, marine, sports & leisure, domestic appliances and general home use. 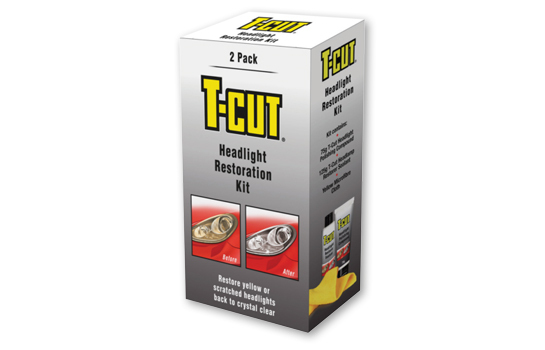 The T-Cut Headlight Restoration Kit is a specially designed compound and sealant that works together to rejuvenate cloudy, scratched and yellow headlights back to ‘like new’ crystal clear finish. Created to improve headlight clarity and light visibility by removing abrasions and haziness from uncoated clear, plastic headlights. I bought some T-Cut Wax about 9 months ago and I have to say it’s the best wax that I have used; it goes on easily and buffs off just as well, the shine that it gives my car is unrivalled, it also lasts a very long – requiring only basic washes once or twice a week. I just wanted to send you a quick email and say how happy I am with your product. I used the original t-cut on a yellow paint transfer on a white car and it all came off without too much effort at all! Thanks so much, saved me a trip to the garage!